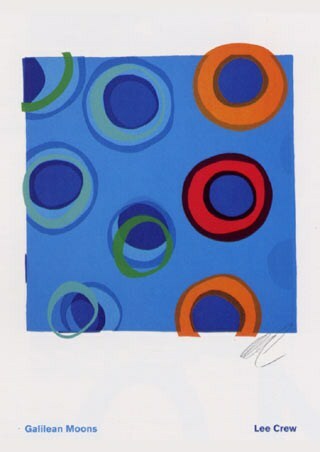 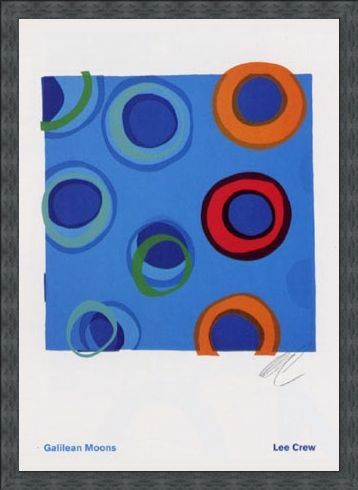 Art Print: Abstract circles against a solid blue background ‘Galilean Moons’ is a screen print by English artist Lee Crew whose art work is heavily influenced by the St. Ives school of artists. The print 'Galilean Moons', is derived from Galileo's discovery on the 7th January 1610 from his homemade telescope, where in a line from Jupiter were three stars, later a fourth (Ganymede) where moving in the wrong direction, he later derived they were not stars but planetary bodies. 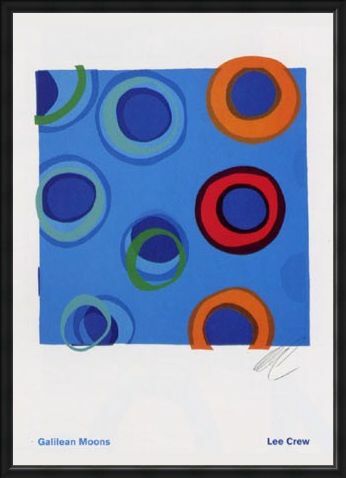 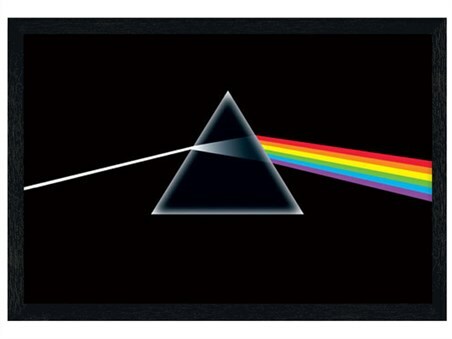 High quality, framed Galilean Moons, Lee Crew print with a bespoke frame by our custom framing service.